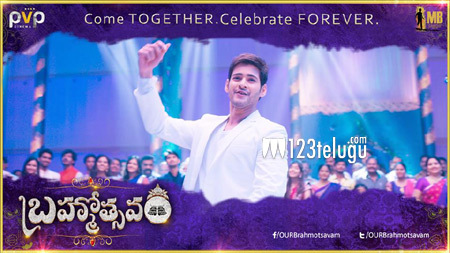 Superstar Mahesh Babu’s upcoming summer family entertainer, Brahmotsavam, is in the last leg of its shooting part. The film’s final schedule will commence from April 2 in Hyderabad and the entire cast will participate in this final journey. Brahmotsavam is a Telugu-Tamil bilingual and it stars Kajal, Samantha and Pranitha as the female leads along with veteran stars like Satyaraj, Revathi, Jayasudha and Naresh etc. The film’s audio is expected to be launched on April 24 and the movie will open in cinemas in May. Sreekanth Addala is directing this film, while PVP Cinema is producing it.